Terence Keel is a historian, scholar of religion, critical race theorist who earned his PhD from Harvard University. He has written widely about the history of racism and its connections to science, religion, politics, and modern life. Keel’s first book Divine Variations, published by Stanford University Press, documents the intellectual legacy shared between modern scientific racism and religion in Europe and America. 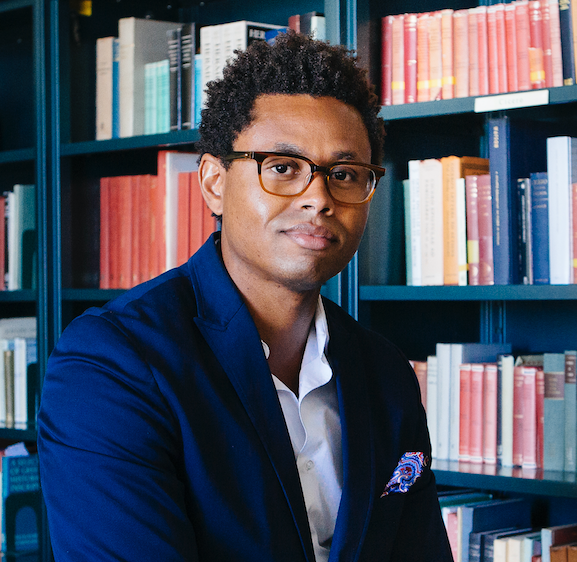 Keel has come to UCLA as an Associate Professor with a joint appointment in the UCLA Institute for Society and Genetics, and the Department of African American Studies. He previously taught at UC Santa Barbara where he served a Vice Chair to the Department of History and was the first Black Studies Professor to receive the Harold J. Plous Award- the highest honor given to a junior faculty member in recognition for his scholarship and teaching. Keel is an affiliate of the newly formed Center for the Study of Racism, Social Justice & Health under the directorship of Dr. Chandra Ford of the UCLA Fielding School of Pubic Health. Keel is also a senior advisor for the Goldin Institute- a Chicago based non-profit organization that advocates globally for grassroots leadership, conflict resolution, poverty alleviation and environmental sustainability. Keel, Terence D., “The Religious Preconditions for the Race Concept in Modern Science”, Zygon: Journal of Religion and Science, Vol. 54, No. 1 (March 2019): 225-229. Keel, Terence D., “Response to My Critics: The Life of Christian Racial Forms in Modern Science”, Zygon: Journal of Religion and Science, Vol. 54, No. 1 (March 2019): 261-279.